This morning was amazingly awesome! I am SO proud of the 20 courageous women who not only signed up for my six-week beginner bootcamp class, but who also showed up and worked hard! They squatted, sprinted, crunched, jumping jacked, chair posed, jumped rope, arm circled and reversed lunged for 45 minutes this morning at a park in Alexandria. And, as impressed as I was by this, I was more impressed that they did it all the while swatting away hundreds of mosquitos! I have been out to the park three times to practice and not once were there mosquitos. But today, the first day of my bootcamp class, and there were hundreds, if not thousands! (Okay, that could be an exaggeration! But it sure felt like it! They were everywhere.) I guess the weather conditions have been perfect and the mosquitos are now out in full force! 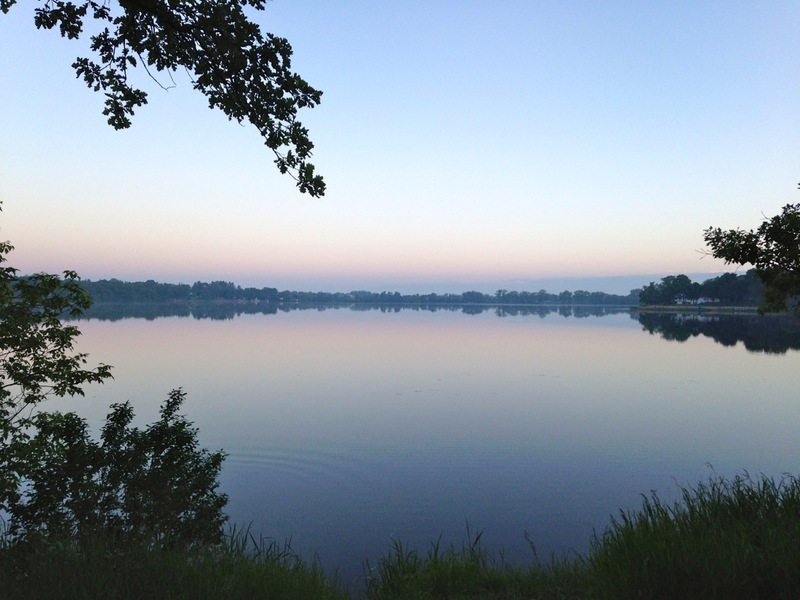 Despite those darn little (okay, sometimes, HUGE) pesky insects wreaking havoc on our morning, it was still fun and the view was absolutely gorgeous this morning. Temps were in the low 60s and there was just a hint of a breeze. The humidity, I am guessing, was quite high. I think we were all sweating before we even got started. Yep, this was my view this morning. Well, in between swatting mosquitos, it was! Lol! I think it went well and everyone had fun. I didn’t hear any complaints, at least, so that’s a good sign. Now, let’s all hope they show up on Thursday! Here’s a shout out to all my ladies, you ALL did amazing and should be very proud. I know I am! Here’s to all my rock stars: Renee, Kayla, Linda, Tonia, Chara, Bonnie, Danielle, Angie, Missy, Traci, Barb, Carol, Jenna, Deena, Tricia, Dana, Angie, Lisa, Hannah and Samantha! Last Wednesday, June 3, was my actual first day teaching a group fitness class. As I stated in an earlier post, which you can read HERE, besides my beginner bootcamp class, I am teaching at the gym I work at, Vital Fit Club. I am on the actual group fitness schedule. 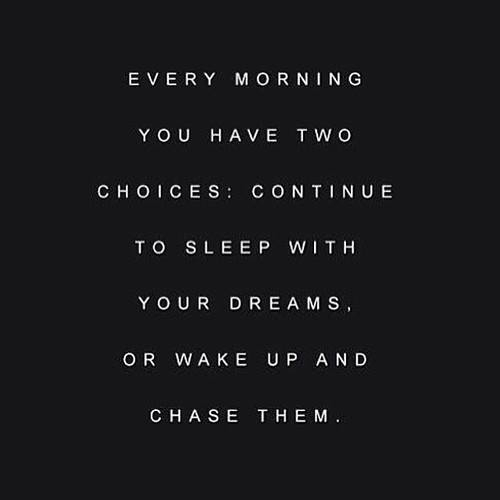 I teach a Tabata class on Wednesdays at 8:30 a.m. I was SO NERVOUS last Wednesday for my first class. But it was fun and the ladies made me feel so at ease. 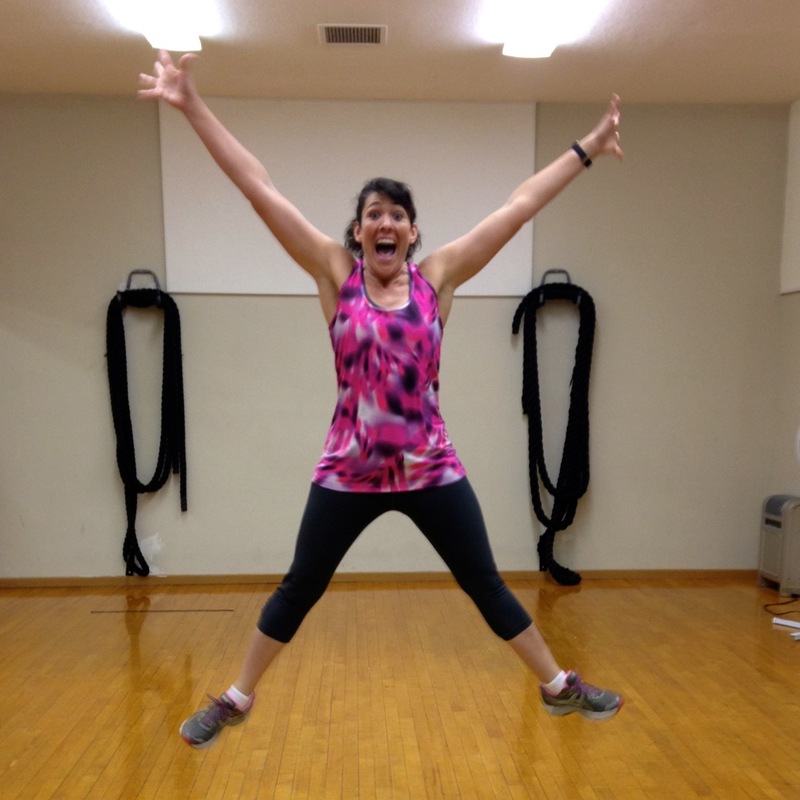 After I made it through class – without puking or passing out (from nerves, not the actual exercises) – I was jumping for joy! Literally. Thanks to my manager, Kayla, for capturing this photo for me! Yes, I was THAT excited to make it through my very first class. It still really shocks me that I am teaching fitness classes. Me. The girl who didn’t give a rats patootie about exercise her whole life. Exercise, fitness, activity – whatever you want to call it – was so far off my radar most of my life. Walking the mall while I shopped was about the extent of my exercise in years past. But after losing my weight (about 60 pounds or so), I realize how important fitness is. Walking, running, riding bike, group fitness classes, exercise videos, whatever. It is important – especially when it comes to maintaining my weight loss. Yes, there are times I don’t feel like working out, but then I remind myself how good I feel after I am done. And I always feel good – sore muscles and all! One more thing that makes this all so real? Me. On the wall. At Vital. Isn’t that just crazy? And cool! I know I keep repeating myself, but honestly, it’s still so surreal. I truly, honestly CANNOT believe I am a fitness instructor. Who knew? Both of us were quite pleased with our times for this race. It was our second year doing this one and both of us did better than the first time around. Al finished his four miles in 31:36 and I finished in 38:50, nearly three minutes better than last year! Yippee! 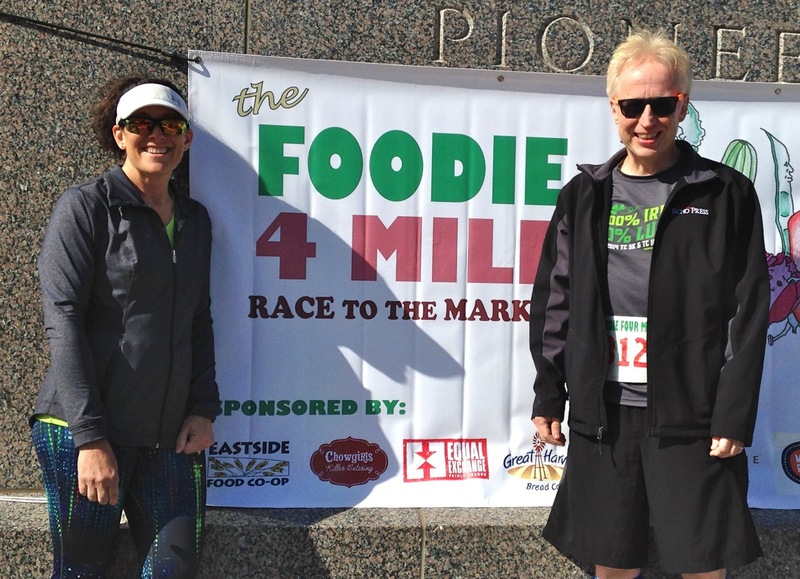 After we finished the race, we checked out the Northeast Minneapolis Farmer’s Market, then went back to our hotel and showered. 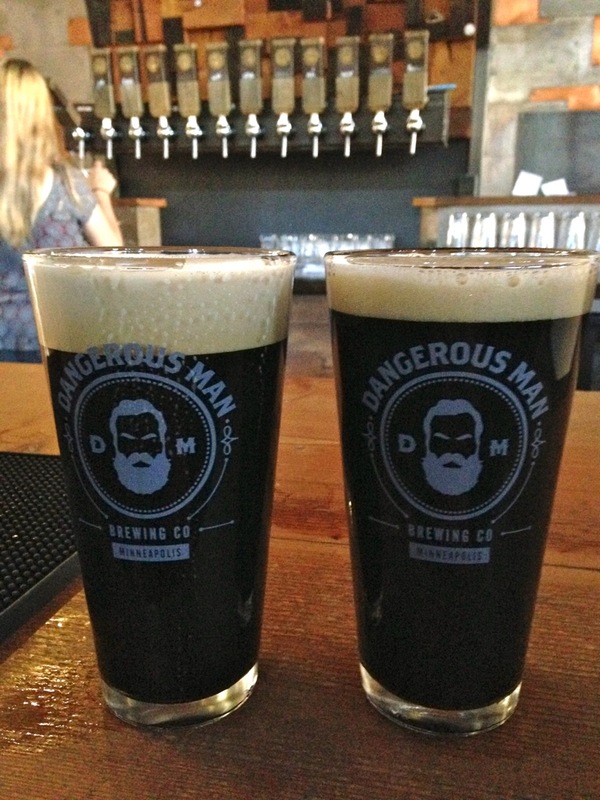 After that, we went to a local brewery that my niece and her husband had told us about, Dangerous Man Brewing Company. Ummmm, yep, now I know why it’s one of their favorites. I had the chocolate milk stout and Al had the coffee porter on nitro. Yes, both of them were VERY delicious. 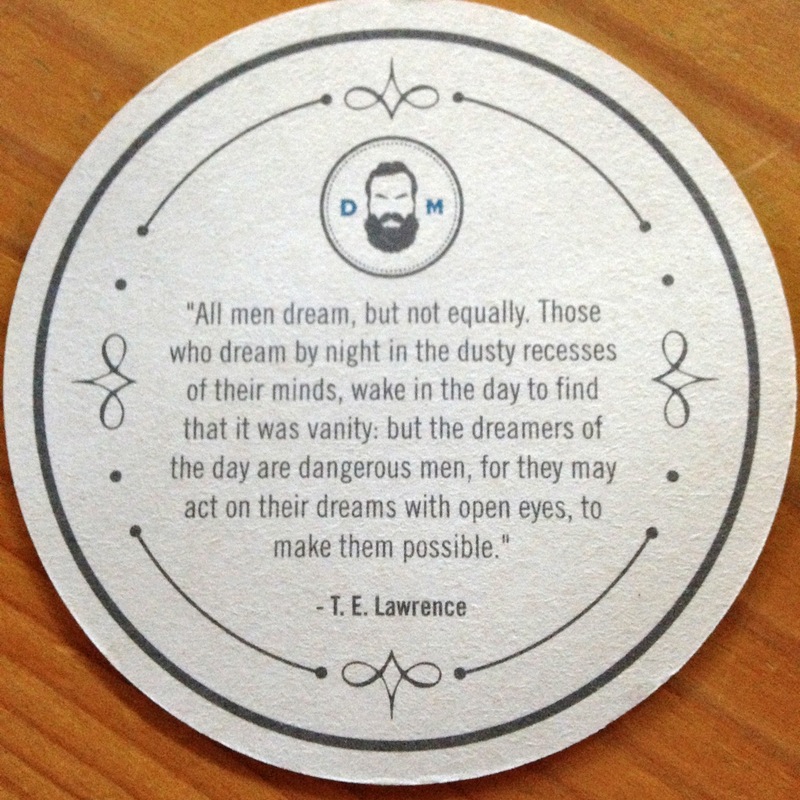 And seriously, don’t you just love the backside of their coasters! 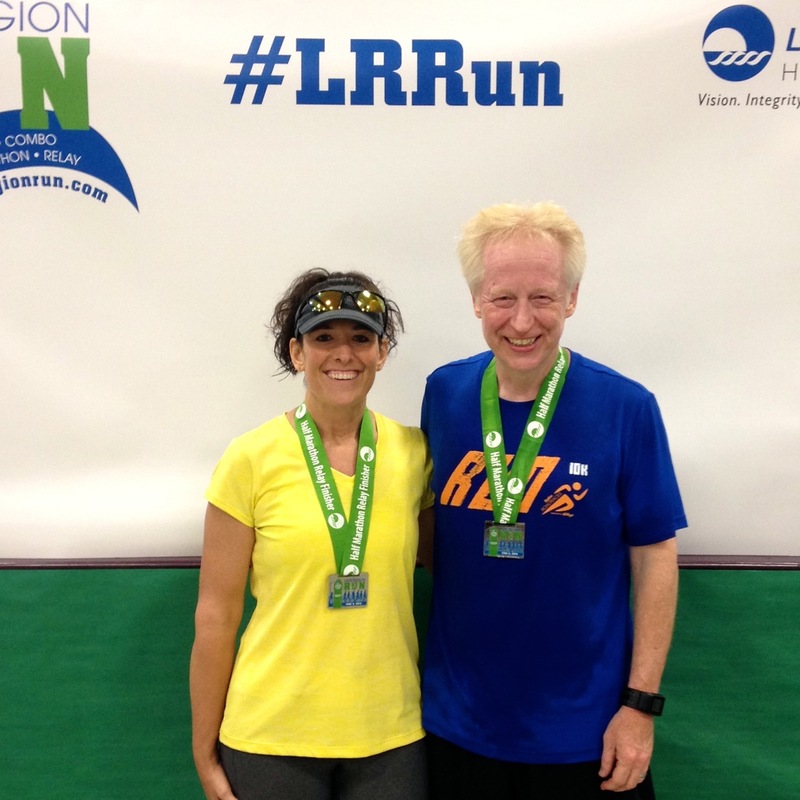 This was after the Lake Region Half-Marathon relay in Fergus Falls last Saturday. I ran the first half and Al ran the second half. 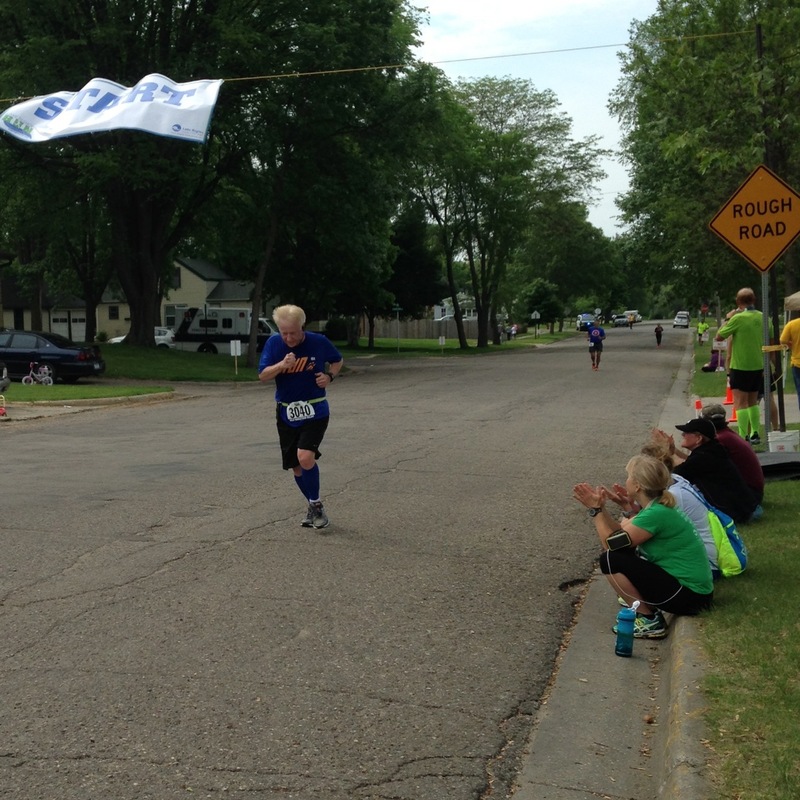 I am not sure why we keep running races in Fergus Falls, it is SO hilly! Ridiculously hilly. And I guarantee, my half was WAY hillier than Al’s half. And even though I may complain about the hills, I have to admit, I kind of like them. But don’t tell anyone! Lol! Here’s Al coming into the finish. One of the reasons Al takes the second half of this race is so that I can watch him finish! It’s the only time I finish before him and get to be at the finish line cheering him in! Go, Al, go! Well, that’s about all that has been happening – at least in the world of fitness and running! Plenty of other things have kept us busy, that’s for sure. We will soon be moving my folks from their apartment they are living in now, to an assisted living facility less than two blocks away. This is a good move and both my parents are okay with it. And so am I. Your enthusiasm radiates through your writing. Congrats on all your accomplishments! 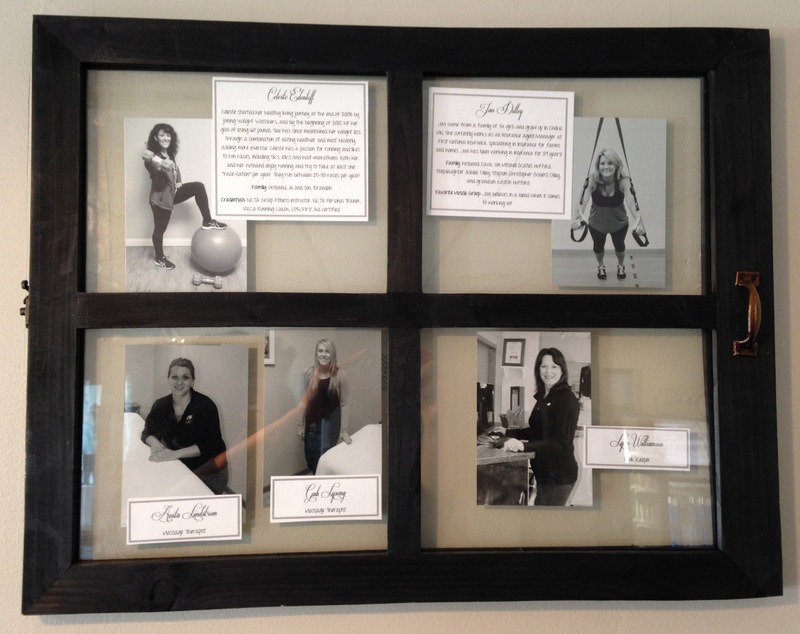 Previous Previous post: Why yes, I do teach group fitness classes! Next Next post: The last few weeks…in pictures!